A very interesting trip that includes old talc mines, a miner's camp next to a hot spring and three historic cabins. 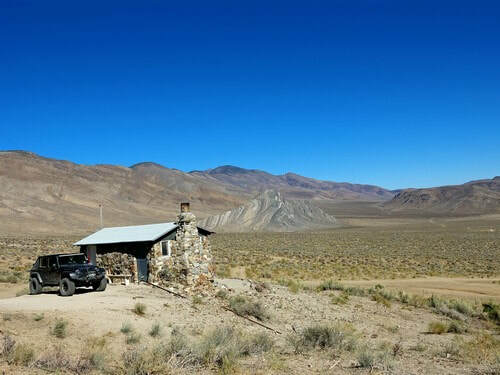 There are three historic cabins in Butte Valley that are available to stay in on a first come first served basis. 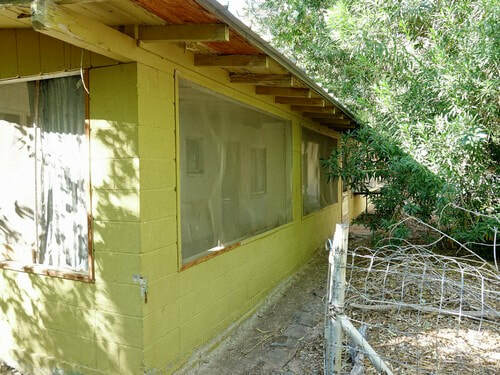 Geologist Cabin is in the best shape of the three. Butte Valley is likely named after Striped Butte, a prominent outcrop in the middle of the valley. It is composed of steeply tilted limestone beds of the Permian Anvil Spring Formation. ​We did this trip east to west but it can be done in either direction. 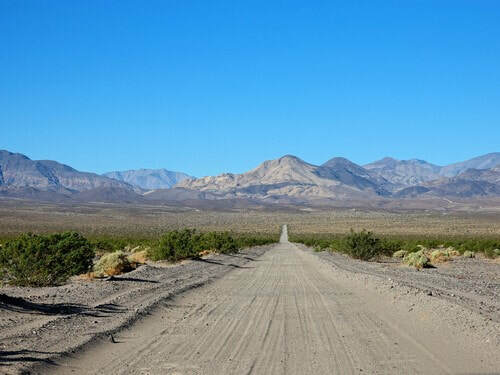 Start the trip on Badwater Road and head west toward Warm Springs Canyon. 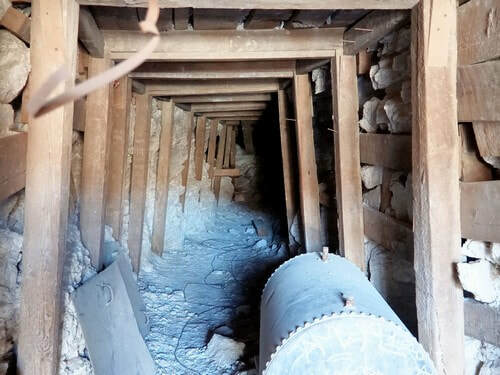 There was talc mining in Warm Springs Canyon for many years. 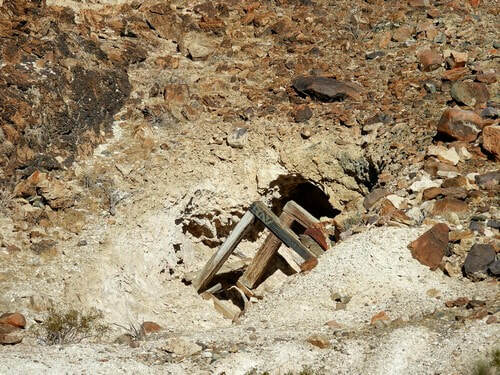 This was probably one of the earliest mines. ​The waters of Warm Spring created an oasis that has long attracted human activity. Panamint Shoshone had their winter camp at the springs. 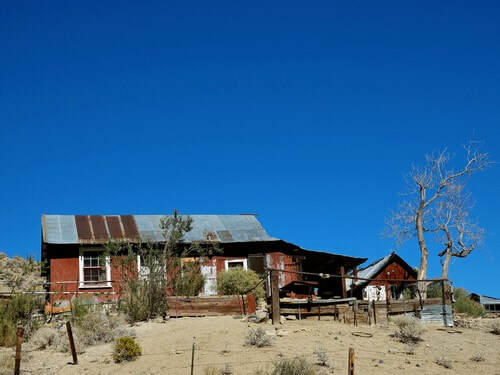 Tribal chief Panamint Tom built a ranch here in the late 1880s, with crops and an orchard of 150 fruit trees. 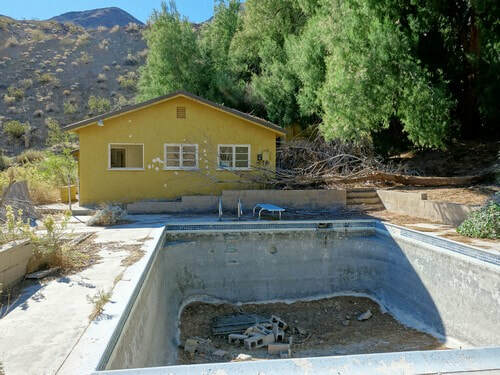 In the spring of 1887, a violent flash flood destroyed the ranch. Warm Springs became a home base for miners and prospectors. 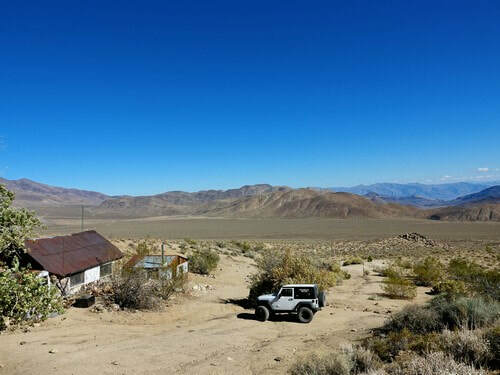 This mining camp was established in the 1930s by Louise Grantham, who located and mined eleven talc claims here with the help of prospector Ernest Huhn. 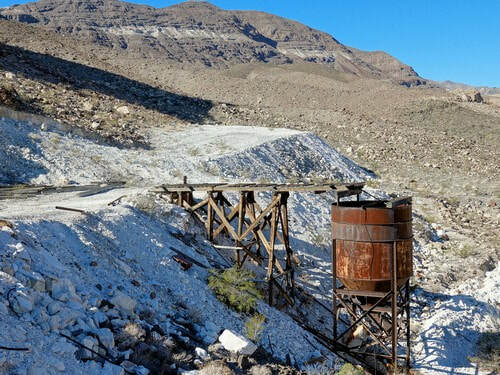 World War II and the postwar era increased the demand for talc, and the Warm Springs Canyon mines boomed. They were among the most profitable in Death Valley. After many ownership changes, the talc mines closed. In 1989 the Preservation Foundation purchased them and donated them to the National Park Service in 1992. Continue west to Butte Valley and visit the 3 cabins available for overnight stays. 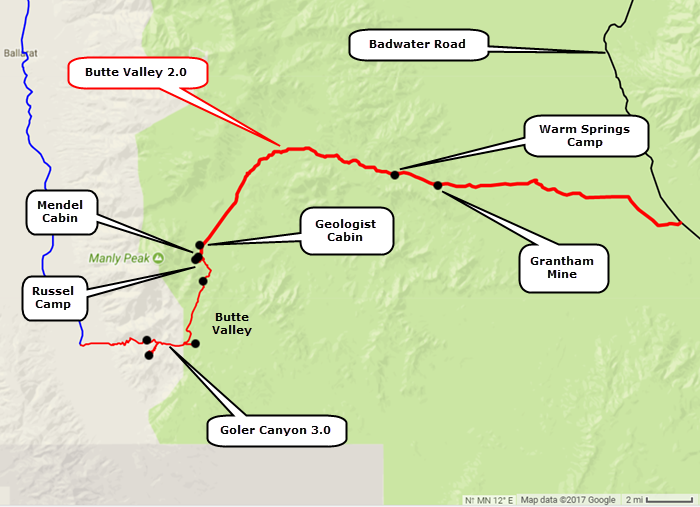 You can either return to Badwater Road or continue west to Goler Canyon 3.0.